Healthcare is a complex industry, and a lot of innovators and founders underestimate the process of bringing an innovation through the regulatory process to commercialization. How can you avoid “death by pilot”? What are the biggest potential failure points to be prepared for in the commercialization process? Why is it so important to include real patients in the development process, and what are the potential pitfalls you might deal with? On this episode, we're joined by John Sharp, the senior manager of PCHA, the Personal Connected Health Alliance of HIMSS. We talk about why some healthcare innovations fail to commercialize while others succeed. John shares what’s unique about commercializing an innovation in healthcare versus other industries. And, he reveals three vital tactics that every health innovator needs to include in their commercialization plan. 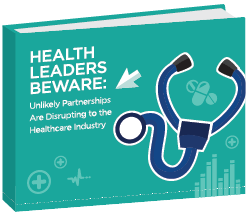 How to avoid "death by pilot"
Why you need healthcare organization partnership . Healthcare innovators have a lot of passion for the problem they are trying to solve, but that passion won’t compensate for a lack of understanding the industry and how it actually functions. Healthcare and startups are industries with fundamental differences, and unless innovators are prepared for that, they are doomed to fail. You have to make sure your funding is able last through the process of regulation and the education of healthcare professionals. Involve real patients in your development. You must understand the complexity of the healthcare system and know what your niche will be in that system. If you're interested in being a guest on this show and you'll be attending HIMSS next week, reach out to me at roxie@drroxie.com and we can see about meeting up at the conference! John Sharp is a Senior Manager of Consumer Health IT at PCHAlliance of HIMSS. Go to https://www.himss.org/ for more information. Connect with John on LinkedIn https://www.linkedin.com/in/johnsharp/ and follow @JohnSharp on Twitter.